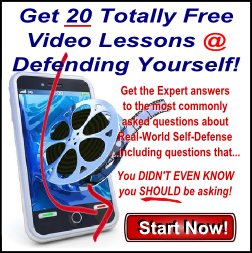 Real-World Self-Defense | Self-Defense Requires More Than a Few Moves! 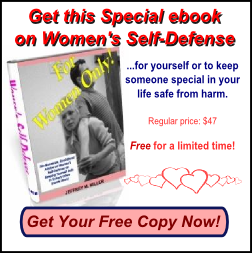 Real World Self Defense Training Requires More Than Learning A Few Martial Arts Moves! In today's often violent world, the threat of being attacked is a constant reminder of how far our society has to go. We're constantly being reminded of this reality every day in the news. This would explain why countless people seek out real world self-defense training in an attempt to make their lives more safe and secure. Unfortunately, they don't always find what they're looking for. This is evident in the fact that most adults quit their martial arts training within 30 days of starting. 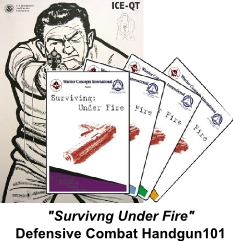 One reason for that is they realize that they're not learning how to survive in a real world self-defense attack. 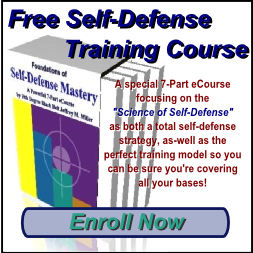 The truth is, real world self-defense Training requires more than just learning a few nifty and cool martial arts moves. It requires being able to do things that look neither cool nor civilized - let alone respectful or disciplined - several of the things most conventional forms of martial arts are known for. Unlike conventional martial arts training, including sport competitions where the only thing you're risking is a trophy at the end of the day, in a real world situation you're fighting for your life. This is no time for fairness. In fact, fairness went out the window when your attacker decided to jump you! You must be ready, willing, and able to grab anything and everything that you could use in your own defense. Can you imagine stopping your attacker so you can go to the trunk of your car in order to put on your karate outfit? Unfortunately, way too many martial art students spend their time training in loose-fitting, and non-restricting clothing - not to mention bare feet. Again, just not real. The reality is that you are going to have to defend yourself in whatever it is that you're wearing at the moment when the attack occurs. This doesn't necessarily mean that you're carrying a gun or knife. This can include keys, a pen in your shirt pocket, or anything else you might have on you. And while the beginning skill involves drawing the weapon before the fight starts, this can make your job much more difficult because he'll see it happening. A true master or self-defense expert understands this and is able to draw a concealed weapon in the middle of the fight! This is just the opposite of the skill above. Here, instead of locating your own weapon in the middle of the attack, you're finding his. - Eye-Gouging, Skin-Tearing, And Throat Punches! Like I said, you're going to have to do things on the street that would make the average person cringe, pass-out, or look on in disgust and contempt. And, you'd never see an MMA or tournament fighter get caught dead using one of these moves (they're illegal in the ring). You are responsible for your own safety and self protection. And this includes knowing whether or not what you're learning is suitable for real world self-defense! 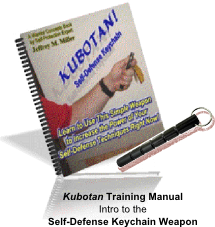 Effective self-defense requires more than just a few "karate moves." It involves the ability to think strategically, and understand how to defend yourself with as little wear-and-tear on you as possible. 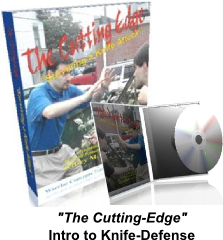 Take 2 minutes to read the next page and you'll discover a stunning reality which will show you something called "The Karate-Myth," why most martial arts and self-defense programs can't give you what you need to get the real world self-defense training you must have to be a true survivor! I strongly urge you to read everything on the next page right now - Click Here. 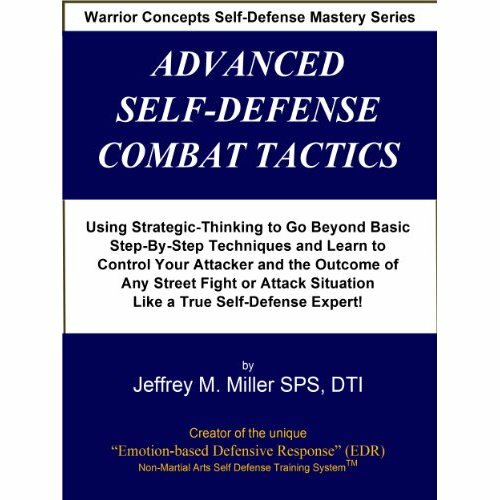 Jeffrey M. Miller is an internationally-known self-defense expert. 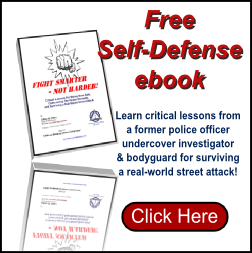 Each month he teaches literally thousands of students through live seminars, corporate training events, and his online self-defense courses, the lessons he discovered and developed while working as a police officer, undercover investigator, and bodyguard. If you want to be able to survive in Today's often dangerous world, he should be on your Top 10 list of go-to instructors!